This week, we’ve debuted our 2018 NFL Draft Quotable series and taken a look at both the NFC and AFC East and the AFC South, a series derived from watching hours of post-draft press conferences that alluded to bits of insight the coaches and executives unwittingly let slip about their drafted players. 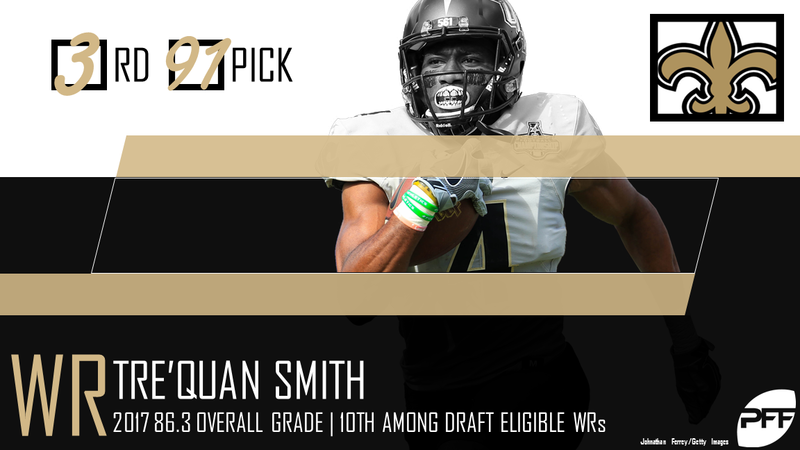 With that, here are some of the most insightful quotes on the offensive skill position players drafted during the 2018 NFL Draft from the NFC South with the added context of PFF’s data. 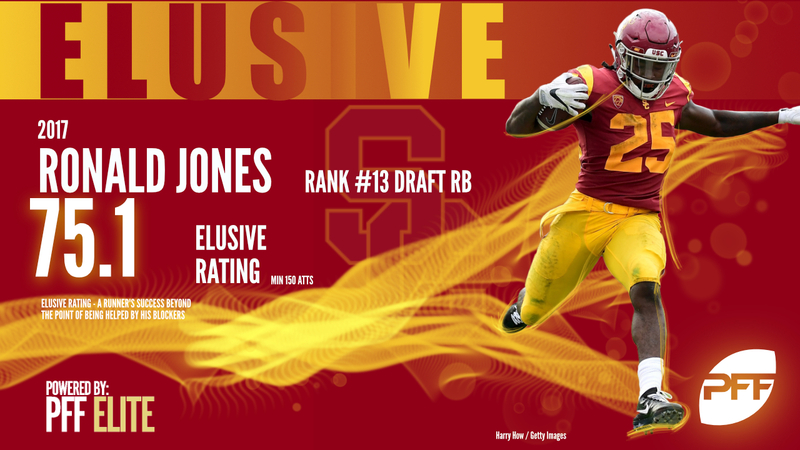 Jones saw only 40 targets in his college career, but it’s hard to argue with his production as a runner. He had the highest rushing grade in college football this past year. We called Ridley an ‘explosive route-runner’ in the draft guide and he was the top wide receiver prospect on our board. While Moore’s skillset seems tailor made for the slot, he only lined up there on 119 snaps last year at Maryland. His ability after the catch though is backed up by the data as his 20 broken tackles were the fifth-most in the FBS. Smith’s 649 deep receiving yards were the third-most in the country last year while his nine deep touchdowns were the most.